Both markets also have some significant barriers to entry; Seattle is nearly surrounded by water with Puget Sound’s Elliott Bay on the west, Lake Washington on the east and Lake Union smack dab in the middle. Portland has the Columbia and Willamette rivers surrounding three sides plus an urban growth boundary. 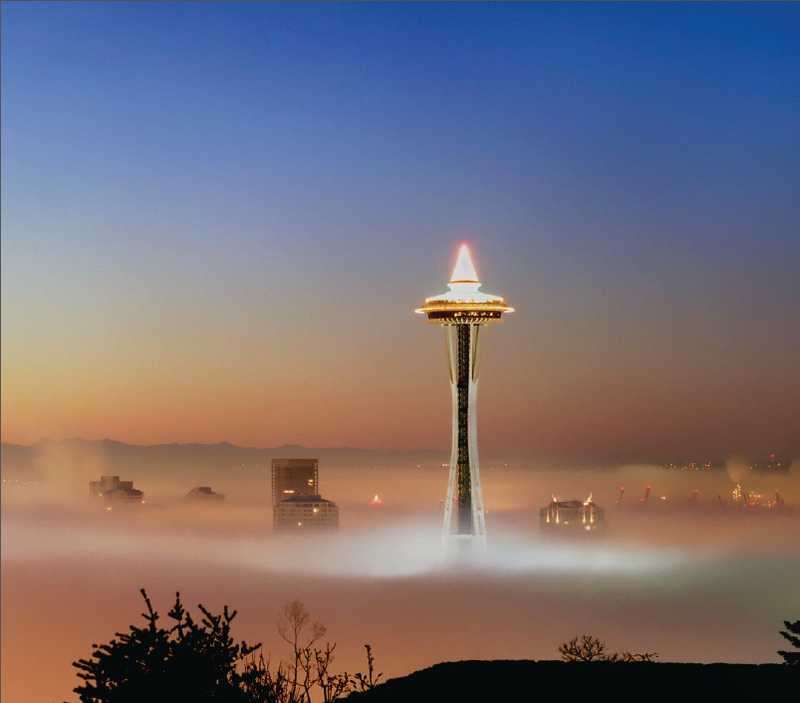 And both have considerable draws for new residents; Seattle has a booming tech sector with Microsoft, Amazon, Adobe and even companies like eBay and Google growing their presences here. In Portland there is a recovering and growing tech sector as well the Portlandia cool factor drawing young people from all over the West Coast. And it seems like everybody wants to live downtown. So what is not to like? Well if you are an apartment developer not much. If you are a big institutional multifamily buyer like a REIT not much either apparently. But if you are a value buyer, especially one who doesn’t have piles of cash and needs to use financing things are getting pretty darn expensive, in Seattle for sure and heading that way in Portland too. Now that’s pretty typical as a market moves through it apartment building investment cycle and that brings me to the thing that’s really gnawing at me about Seattle’s market. “Knowing where we are in the cycle is the most important thing in real estate investing” taught one of my mentors and it is true. But just as folks (who don’t follow the ECRI research) will discover after the fact that we’re back in recession, those developers poo-pooing the thought that they might be overbuilding will find themselves competing with a glut of new product when they go to lease-up because they were blinded to the realities of the cycle. Now we all have our own cognitive failings and foibles but those are compounded with developers because of the lag time between their intention to build and actually completing a building. ‘It’s those other guys who are overbuilding, not me’. I just need to get to lease-up before them’. When lease-up is a year or two away though that leaves a lot of time for others to get there ahead of you. That hurts not just the new properties but all the apartment properties in the market as well. When the brand new class A stuff is offering big concessions, the older A properties (now class A- or B?) have to offer bigger concessions and it dominoes down through the classes. So if you bought on a 5 cap at barely breakeven on rents and in two years there’s 1,400 brand new units in town competing for your renters how’s that going to turn out for your rents? If you bought earlier in the cycle, say when cap rates were in the 7s or higher and you’ve already had a couple years of rent increases to create a cushion of NOI so that you can reduce rents if you need to and still hit your return numbers you will be in a good place to ride over the top in the cycle and through the next valley. In Portland you may still have a chance to do just that and we are working on an opportunity like that right now. To get our special report on the Apartment Building Investment Cycle contact us with ‘The Most Important Thing’ in the subject line and we’ll send it to you with our compliments. Previous Previous post: Top 10 best and worst places to rent an apartment/ Top 10 worst and best places to own #multifamily? 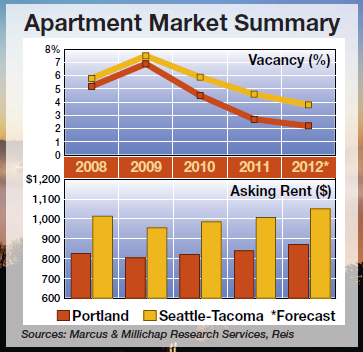 Next Next post: US Apartment Building Vacancy Below 5%, Rents Growing at Fastest Pace Since ’07.